Caspar Steinmets (1615-1702), among the earliest Hollanders emigrating to Manhattan. 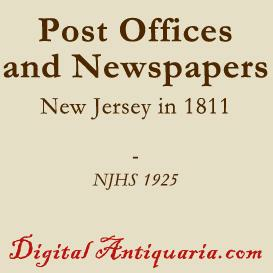 Detailed personal biography and genealogical study. 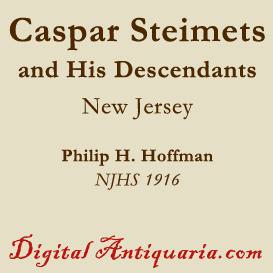 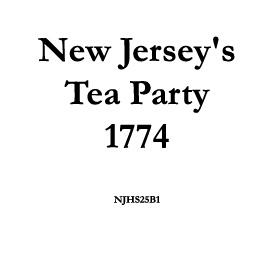 by Philip H. Hoffman | NJHS 1916 | 30pp | PDF 300K | $3.00 | CS Caspar Steinmets (1615-1702), among the earliest Hollanders emigrating to Manhattan. 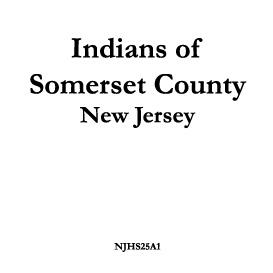 Detailed personal biography and genealogical study.